PRDnationwide has released its Second Half 2016 Property Hotspots Report which highlights suburbs within 20 kilometres of capital city CBD’s with strong fundaments yet to reach their full potential. A common factor among the listed suburbs is investment in current project developments, according to PRDnationwide chairman and managing director Tony Brasier. “The amount of development activity taking place in these suburbs and surrounding areas is very encouraging. New roads and infrastructure, shopping centres and commercial precincts are reliable indicators of future price growth,” said Mr Brasier. “While many suburbs in capital cities have been attracting widespread interest from buyers for some time, these hotspots are flying under the radar,” he said. The suburbs listed still held ‘great opportunities’ for investors according to Mr Brasier; buyers should be looking for growth potential in their hotspot purchases. Sydney and Melbourne proved once again to be solid performers, which in turn forced an increase of appeal in the Brisbane market. “The report reveals Melbourne and Sydney have continued to record median price growth — defying expectations they may stagnate. Brisbane has benefited from rising house prices in Sydney and Melbourne, with its comparable affordability spurring a renewed interest from interstate and overseas. The Commonwealth Games and other major projects have provided additional impetus for Brisbane and south-east Queensland,” said Mr Brasier. “Hobart has strengthened its property credentials during 2016 by delivering stable growth parameters across the board. It’s set to build on this further into 2017 as Australia’s ‘quiet achiever’ city with potential. Perth has faced the most challenging market, with some positive signs in a few select suburbs despite a general weakening during 2016,” he said. 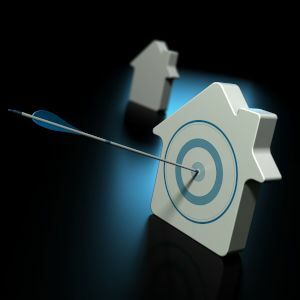 When determining the hotspots the report examines a broad range of investment and growth factors including median house price growth, online interest, volume of sales, rental price, vacancy rates and rental yields.